Today, you can’t swing a dead cat without hearing something about “Millennials.” Also known as Generation Y (born in the early 1980s), this has been a Generation largely heralded as being so different than Gen Xers (my generation) or Baby Boomers. But are they? I wonder if it’s the environment that’s changed so drastically, and what we perceive as different is the way Gen Y is navigating this landscape in order to thrive. They say they’re the first generation to expect results from their skills. They say they need to be acknowledged and heard and respected by their bosses and brands. They want flexibility in their workplace, and want to be trusted right out of the gates. But I was 20 and 30-something once, and I remember thinking that too. I knew I was a hard worker, so why didn’t everyone else know that too? I was impatient when I didn’t receive a raise 6 months into my 2nd job out of college. I had worked hard, saw how much money my work was making the company and couldn’t understand why I wasn’t valued. In hindsight of course, and as a business owner now, I understand that it’s just not that simple. I’d venture to speculate that Baby Boomers also felt like they had skills to contribute, and a voice that they desired be heard when they were that age too. Everything Millennials have expressed as making them different is not dependent on Generation; they are just human qualities. As humans, we all share similar core desires; connection, love, contribution, acknowledgement, enlightenment. What changes around us is our environment; technology, attitudes, resources. As adaptable animals, we are built to course-correct to thrive as our environment evolves. The digital magnifying glass. I feel for Gen Yers, because they are the first age group to enter the workforce having grown up with the Internet literally their whole lives. This means they take with them a digital trail of embarrassing pictures, rumors, mistakes and missteps that will follow them around online forever. Other Generations also had that, except our technology was a 35 mm camera, and our “Internet” was our high school and the Mall. Pictures got passed around, rumors were spread mouth to ear. Gen Yers are perhaps better poised to anticipate the consequences of their actions online because of their heightened awareness of the digital magnifying glass that exists today. Their world has always been a transparent one, and they have adapted with a shifted attitude toward being vulnerable and authentic online, because they had to. When it was easier to keep secrets – before camera phones and the Internet – it was easier to hide away vulnerabilities and authenticity (if you watch Downton Abbey like I do, you know what I mean!). But Gen Xer’s and Baby Boomers have also had to make this shift to manage their online reputation and build their digital voice. To people not accustomed to forging deep relationships with people solely online, this can be an arduous task. Brands are having the toughest time adapting to our new transparent world. Millennials will be the first to tell you that they will show loyalty with their wallets to the brands who acknowledge them in their social channels, deliver a highly-detailed customer experience and better yet, tell them their story that’s in support of a higher cause. Phew! That’s a long list of boxes to tick in order to make a sale. But I think this expectation is what brands are reacting to; never before has customer expectation been so high, and they’re freaking out about it. But it’s also upped their game. It has forced brands to go the extra distance in knowing and understanding AND acknowledging their customers. It’s forcing them to create deeper relationships with their customers like never before. To some brands, this has paralyzed them in fear. Not knowing where to start, or how to take it to the next level, they just do nothing – which in today’s day and age, is business suicide by a thousand paper cuts. Is expecting a company to care about something bigger than themselves a Millennial trait? No. Is expecting a company to pay attention to the details a Millennial trait? No. Is relentlessly telling brands about their missteps and victories across the digital web a Millennial trait? Yes. And this is important, because transparency and vulnerability is forcing brands to be better, to the benefit of everyone. The Encyclopedia Internet-ia. The concepts of being an entrepreneur, hustling, and tapping into our networks to make new connections are nothing new. But before the Internet, all of this was done in person, over the phone or mail. It also used to be that growing up Boomer and Gen X, school and college were our only “mind expanding” mechanisms. We would anticipate leaving home for the first time, going away to college, this mysterious and wonderful place that we found filled with new faces, new material, new experiences, and probably our future spouse. Today, it’s the Internet. We have access to new ideas, concepts, opinions, places, people – starting as early as we learn to use a keyboard or touch screen – to expand our worlds, connections, and concepts. 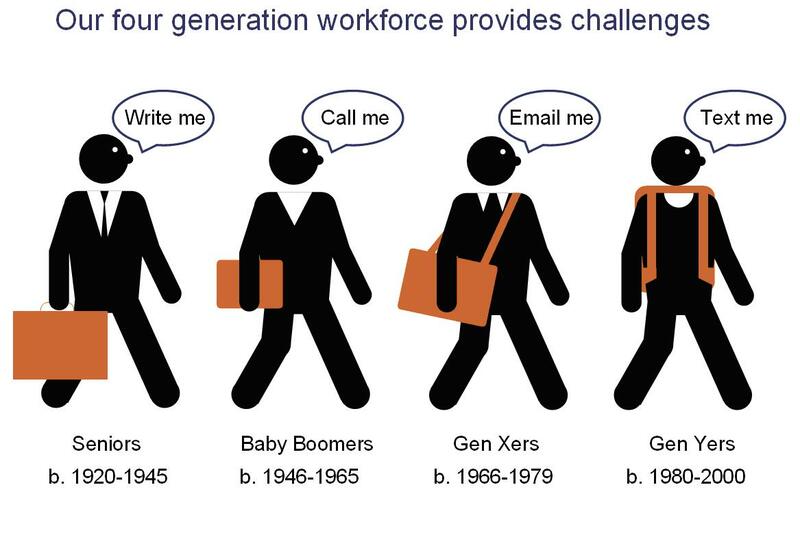 Millennials, being Internet natives, emerged into the workforce with a more mature mindset that typical Gen Xers took into their 30s to get to. To that point, it’s not a surprise that Millennials are entering the workforce feeling more educated too, expecting the same things that workers in their 30s and 40s expect – flexible work hours, higher pay for ideas, and a voice at the table. This causes friction, because Gen Xers grew up having to earn the right to access these “perks” by putting in the time on the job. Millennials have also put the time in; just while they were simultaneously attending middle school, high school and college – if they even went at all. 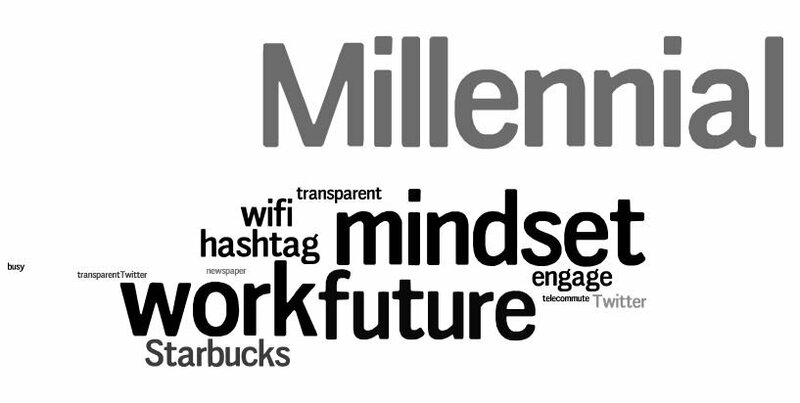 There is a paradigm shift in thinking and expectation with Millennials that has to happen with Gen Xers and Boomers; those who embrace it with what Social Business Change Evangelist Brian Fanzo calls the “Millennial mindset”, will find new exciting collaboration opportunities that will bring new energy to the workplace. So are Millennials really truly unique, special and different from other Generations? No. They just have the social microphone. And dare I say they’re a little more savvy at their age than we were, because of it. As co-workers, peers, partners and co-creators together, focusing on what separates Generations apart takes our eyes off of finding ways to lift each other up to rise the tide for us all. I believe entrepreneurs, or “Millennial Mindsetters” at heart, believe this too. At every age, there are super smart, funny, clever and insightful humans who have the drive, skills and interests to make the world a better place. Now, if we only looked up from our phones, we may be able to eventually find them. ← Is Discomfort the New Way Forward? Language, Words, and Truth: What Does It All Mean?